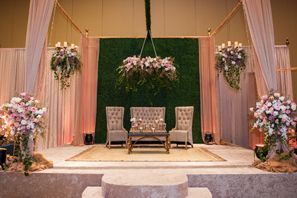 Dreams to Reality, a full-service decor and event planning company, is the winner of the 2014 Orlando MyShadi Bridal Expo Booth Decor competition. Mehjabeen Memon, President, originally hails from Pakistan, and now resides in Orlando with her husband and two sons. She feels fortunate to have grown up around many creative people, all of whom influenced her choices. Memon also gives much credit to her mother, who is involved in fashion and art, for much of her inspiration. Learn more about what inspires Memon her company, Dreams to Reality. For those who are not familiar with you or your work, can you share a bit on how you landed in the wedding décor business? 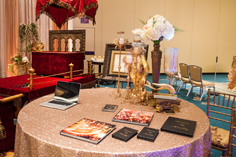 I initially started out as an interior decorator and gradually came into event styling. I consider myself blessed to be a part of an industry where my efforts are rewarded with the knowledge that I help create someone’s life long memories. 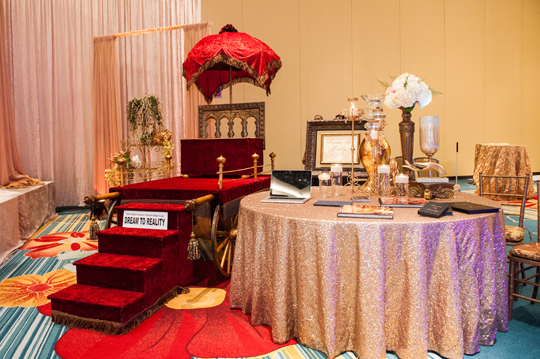 How does it feel to be the winner of the 2014 Orlando MyShadi Bridal Expo Booth Decoration Competition? It’s always an honor to be recognized for your hard work from an industry leader like Desh-Videsh. This was my second year participating in the My Shadi Bridal Expo, and both times, I was just as excited as I am when doing a wedding. I am so happy that my creativity was acknowledged, and it has given more energy to go after my goal of being recognized as a custom event decorator for every kind of event. To me, NO wedding is too small and money is not the only reward that I work for. My biggest reward is my brides “Wows” and their families’ gratitude upon seeing my finished work. Anything else is just icing on the cake. I wish I could pinpoint exactly what inspires me because it varies. I can see a color in nature or a moment at a concert and create a whole concept. When I work with my clients I walk them through a path of imagination that ultimately leads to a gorgeous event. You would be amazed by the reality created based on their dream. What are some of your favorite materials to use – florals, certain types of fabric, etc.? I don’t have a specific favorite. I enjoy everything from crystals to candles and florals to fabrics as long as tastefully done resulting in balance and harmony. Because of the amount of time I have already spent in this industry, I can provide every wedding related service from decorating to complete coordination and planning. I am my bride’s biggest cheerleader, voice of reason, counselor and trusted partner. Our company provides event related services including but not limited to lighting ,catering, cakes, entertainment, video/photography, linens, florals, DJ, and limo service. We have packages to fit every budget since its not only a business for me, it is also my passion. The first time my clients and I meet is the most important part of their dream – it allows me to take each couple under my wings and guide them in a way that lets them enjoy the biggest day of their life. I completely disassociate myself from everything and focus entirely on the couple’s vision. This lays the foundation for what eventually becomes a masterpiece. From the very beginning what kept me excited about this industry were the ever-changing styles and trends. No two events were same. I have been very lucky to have interacted with a versatility of different cultures and with every event my admiration and appreciation for this industry has grown. In what regions, do you provide your services? So far I have done events all over Florida from Miami and Fort Lauderdale to Tampa and Tallahassee, but my ambition knows no bounds and I always enjoy destination weddings. Each wedding is special in its own right and every event I do leaves an impression on me. I can’t put in words the high I get from watching a bride seeing the finished décor and realizing that I played a small part in her biggest day. My advice to all couples is not to procrastinate and make sure to give enough time to book everything in advance so they get the best of everything. So pick up a cocktail, relax and create an experience.